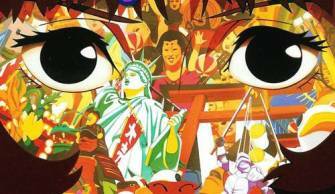 Satoshi Kon, the Japanese animation director best known for the wildly idiosyncratic visual style on display in films like Paprika, died early in the morning on August 24 from complications due to pancreatic cancer. A burial service has been performed for the family only. Kon was born in Kushiro in the Hokkaido district. He attended Musashino College Of The Arts, for painting initially and then for illustration, graduating in 1987. He began his career as a cartoonist while still in college, placing his first work in Young Magazine in 1985 and seeing his first book published by Kodansha in 1990. 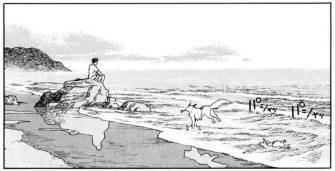 After school Kon also performed some editing work for Young Magazine, during the midst of the initial serialization for the legendary Akira, by Katsuhiro Otomo. 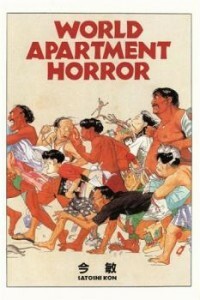 This brought him into Otomo's radius, and he went on to work on World Apartment Horror (he's credited with the live-action movie's story and with the adaptive manga). According to a 2008 interview with Anime News Network, working on the Otomo-written Roujin Z was Kon's foundational work in animation, providing for his subsequent career both in terms of an initial workplace experience and in meeting people with whom he would later collaborate. Kon moved more fully into filmmaking through screenwriting, debuting on screen with the "Magnetic Rose" section of the anthology Memories (1994). He made his directorial debut in 1997 with the well-received Perfect Blue. Settling into home at Studio Madhouse, for whom he served as a staff director, he would go to make a series of critically well-regarded movies: Millennium Actress (2001), Tokyo Godfathers (2003), and what will likely be considered his masterpiece, Paprika (2007). He also created the television show Paranoia Agent (2004). Less is known about Kon's career as a manga creator, but he authored and/or worked on multiple series. His English-language wikipedia entry lists: Toriko< Kaikisen (1990), World Apartment Horror, Seraphim and Paprika, Dream Children. According to manga-knowledgeable retailer Chris Butcher, none of Kon's manga have been licensed for translation into English. Kon was working on his fifth film, tentatively titled either The Dream Machine or The Dreaming Machine. According to a post by Ryan Sands, Kon was diagnosed as terminal in May. He wrote a short farewell message soon after, which he translates as ending as follows: "With feelings of gratitude for all that is good in this world, I put down my pen. Goodbye now." Satoshi Kon was 46 years old.